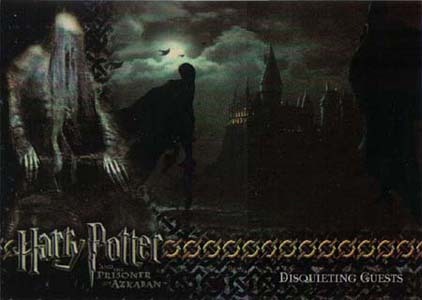 2004 Artbox Harry Potter and the Prisoner of Azkaban Update directly builds off the success of the company's first set for the film. 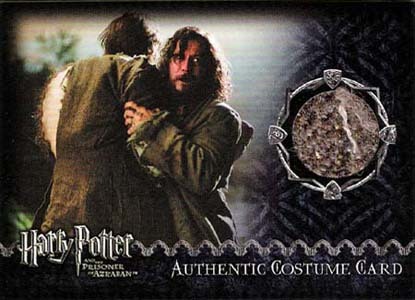 It adds another 90 base cards, including many that have special effects shots, and one of the most potent trading card autograph lineups ever, not to mention more costume and prop cards. When the first set sold through so quickly, 2004 Artbox Harry Potter and the Prisoner of Azkaban Update has a much higher print run. As a result, the hits are tougher to find. Overall, costume and prop cards also have higher print runs. However, this is offset somewhat by the tremendous list of autograph signers. 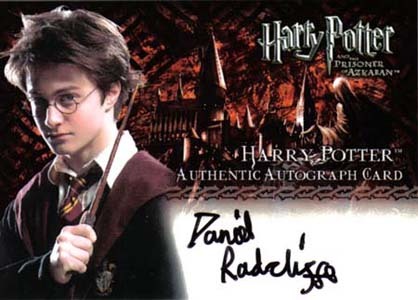 All three of the lead cast, Daniel Radcliffe (Harry Potter), Rupert Grint (Ron Weasley) and Emma Watson (Hermione Granger) signed for the set. There's also a triple autograph card that has all three. Given the huge success of the franchise, this card has to be considered one of the most important entertainment cards of all-time. 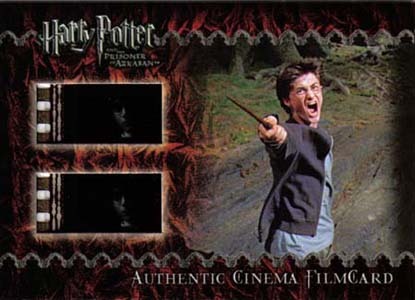 2004 Artbox Harry Potter and the Prisoner of Azkaban Update introduces Cinema Film Cel cards to the franchise's line as a fourth type of. Numbered to 900, each has a pair of cels from the movie embedded into the card. The base set continues on from where the first set left off. The 90 cards are numbered 91 through 180. All but the last card are story synopsis cards. They keep the same horizontal design from the first set. 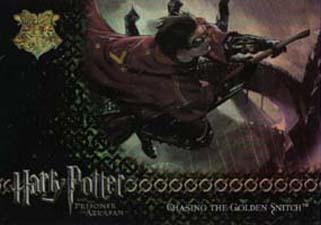 Because the set was released after the movie's theatrical release, several cards show the film's many special effects. 90 cards. Numbering picks up from where the first set left off. 91 Let Me Tell You...! 105 Cat Got Your Tongue? 114 What Do You Fear the Very Most? 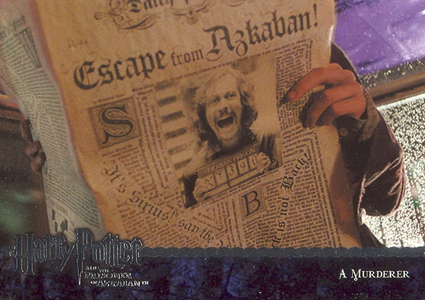 133 Sirius Black, in Hogsmeade? 136 Wand at the Ready! Inserted 1:110 hobby packs. 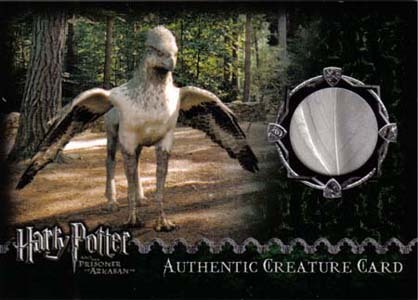 Davis variation exclusive to tins sold at 2004 UK Memorabilia. Ferris, Gardener and Griffiths available via redemption. Inserted 1:80 hobby packs. Numbered 900. Inserted 1:36 hobby packs, unless noted. Inserted one per hobby box.